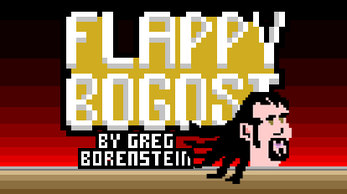 Flappy Bogost was created as part of the Flappy Jam in February 2014 by Greg Borenstein. All art created in MakePixelArt. ** All sounds in Flappy Bogost were spoken by Bogost himself.